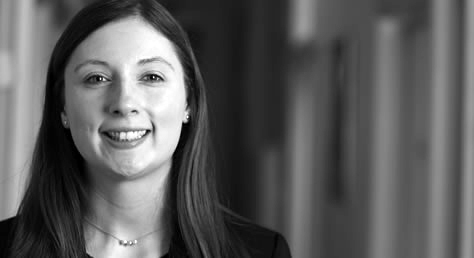 Sarah Colley, a senior supervising solicitor and children panellist in our family team, considered the case of G (A Child – transparency in the family courts)  EWHC 1301 (Fam) which concerned transparency and confidentiality in family cases. There had been previous proceedings in 2002 between the parents in respect of their daughter (G). During the proceedings, the Judge, Singer J, made many critical findings against the Mother (M). At the conclusion of the proceedings, Singer J ordered that G live with the Father (F) and have no contact with M. Both M and F gave undertakings not to communicate with the media. In these proceedings, heard before the President of the Family Division Sir James Munby, M sought to be released from her undertaking as she wanted to discuss the 2002 proceedings with the media and her children. M stated she wanted to be heard in the ‘court of public opinion.’ G’s half-sibling B, who was referred to in the 2002 judgment, applied for disclosure of all of the documents in the 2002 proceedings. For both applications, Munby P considered M and B’s Article 8 rights. For B, Munby P confirmed that B’s family members mentioned within the 2002 documentation are equally protected by Article 8 which has to be taken into account. Munby P decided that allowing B to have access to all of the papers, ‘is plainly counter-balanced by the adverse impact it would have upon F and G’ and would be, ‘wholly disproportionate.’ Munby P carried out a balancing exercise and ordered that B be permitted to have limited documentation. For M, Munby P came to the clear conclusion that she ‘should not be released from the undertaking she gave Singer J, nor should she be released from the restrictions on the dissemination of documents imposed by section 12 of the Administration of Justice Act 1960.’ The Judge stated that it was for F, not M, to decide when and how G should be told about this part of her family history. The Judge stated that M had no justification to challenge the findings made against her in 2002, particularly in public, as she had not challenged them at the time they were made. The Judge also stated that disclosure of the sensitive information in the 2002 documentation would have a detrimental impact on G.
Munby P was clear that the orders and undertakings made in respect of B and M’s applications would not end when G achieved majority.